Formed a local Age Wave Coalition active for over two years and developed a draft County Plan gaining community support and input. 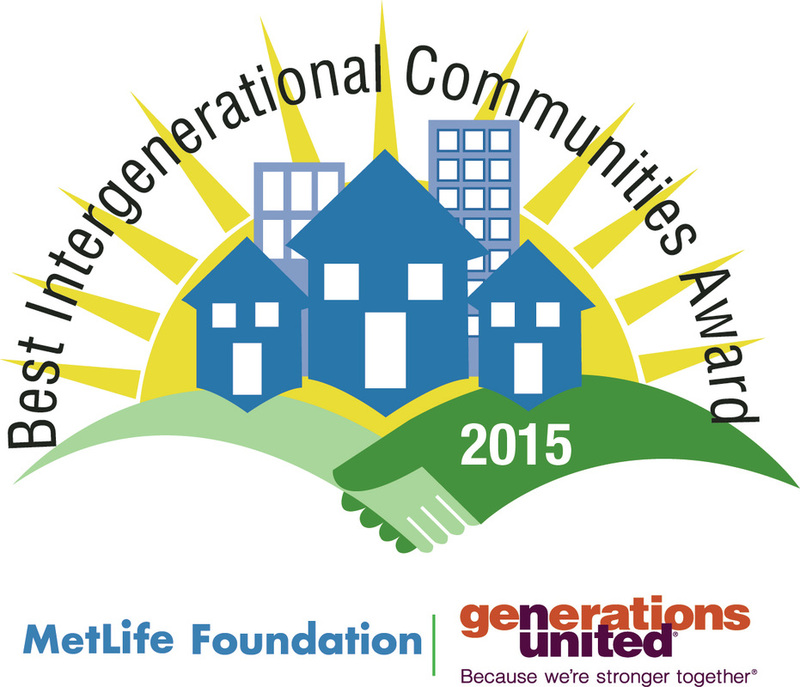 The coalition works with the Greater Richmond Age Wave collaborative (GRAW). CATCH Healthy Habits completed a successful 2014 summer session at Swim RVA. Membership: 20+ of various county departments, community leaders, Senior Connections staff and GRAW leadership members. Chesterfield County's community discussion had the highest attendance with diverse participation and standing room only. The value of living in Chesterfield County for older adults is that is .it a safe community that has access and availability of medical services along with lots of activities for older adult residents. Overall Chesterfield County Government is considered very forward thinking; they were the first locality in Virginia to develop a Senior Advocate position. There is a strong culture of volunteerism along with highly effective means of communication. Chesterfield County is rich with a wide range of diverse resources that are valuable to the residents that range from lifelong learning and the Shepherd's Center to the local farmers markets and the Chesterfield County Parks and Recreation Department. There are challenges within the culturally diverse communities, specifically the Asian American and Latino communities. These communities are not as aware and engaged in the development of programs and services; however, both are rapidly growing communities within the County. There are aging neighborhoods that may lack resources, such as no clubhouse or access to computers; a lot of these older adults may be unaware of resources and some are being left behind. Transportation is limited and there is no hub from which transportation is coordinated. There is a lack of safe places to walk within and outside of neighborhoods. This may further isolate older adults and put them at risk of injury. Additionally there is a lack of "park and rides" leaving inadequate safe places to leave a car to carpool. Chesterfield County is spread out and there are pockets in the County which have secondary roads and lack services such as Internet which limits an older adult's access to online resources. Opportunities where services are needed or where there is a need for enhancement include transportation, affordable and accessible housing, mental health services, services and assistance to older adults raising grandchildren and a permanent placement for the senior center. There is a need for culturally competent services and to have information on services and programs available in multiple languages. 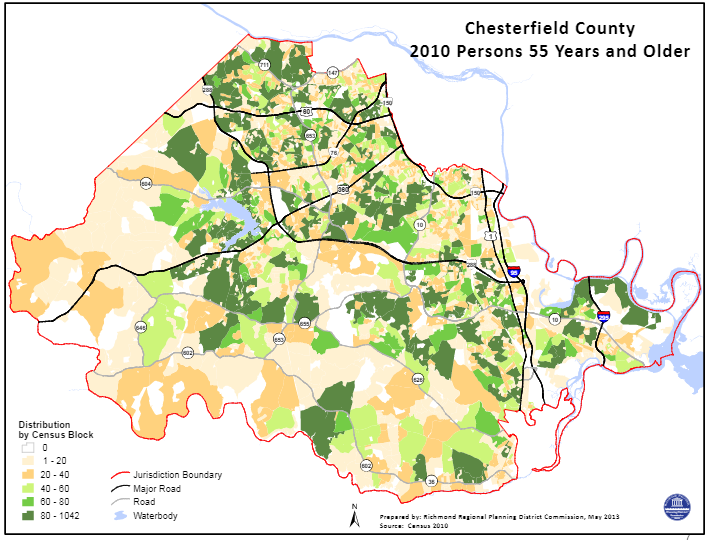 Chesterfield County is a large county that has a diverse community of older adults widely ranging in age, income and cultural backgrounds. It is a community that has a significant number of strengths and resources for older adults and the Chesterfield County Age Wave Plan has been identified in the County's master plan.